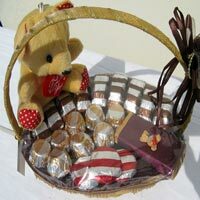 Nirali Chocolate has carved a niche for itself as a reliable Manufacturer, Exporter and Supplier of Chocolate Gift Trays, Chocolate Lollipops, Designer Chocolate Boxes, Designer Chocolates, Valentine's Day Chocolate Gift Basket, Chocolate Baskets and Chocolate Bouquet in Maharastra (India). We have four chocolate outlets at Nagpur where chocolate is blended in 25 flavors of love. 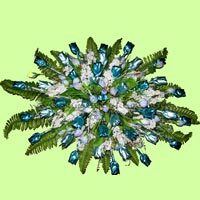 Our Chocolate Bouquet makes use of techniques which can catch everyone’s imagination. 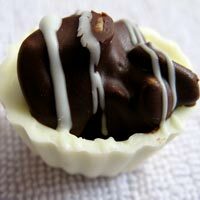 We first introduced our Chocolate Presentation Techniques for making Chocolate Bouquet to Nagpur and Vidharbha region in the year 2003. 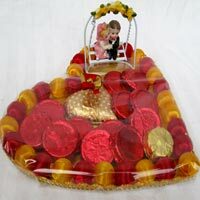 We mainly provide services to corporate gifting companies, business houses, etc. 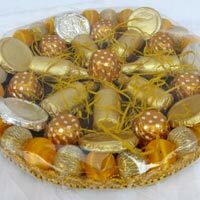 Our Chocolate Bouquet is the best for wedding parties, marriage gift hampers, Diwali & festive collections. 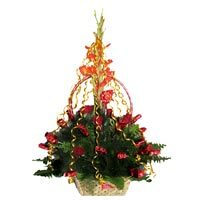 We are known to maintain high standards through beautiful presentation that can make or break the charm of the special day or moment. 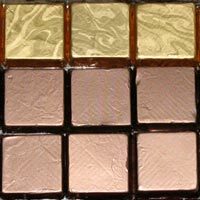 We have something special just for that, not only it will be exclusive to make the occasion memorable for the host, but unique and most importantly something, especially made with emotions for that particular occasion. 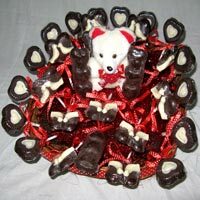 We also take orders for Chocolate Bouquet with fresh and dry arrangements.